And with the 480, delivering dynamic lessons is easy. Teachers can present material featuring large, vibrant images. Kinesthetic and visual learners benefit from interacting with lesson content moving letters, numbers, words and pictures with their fingers. And students with special needs benefit by being able to see, read and manipulate information more easily. 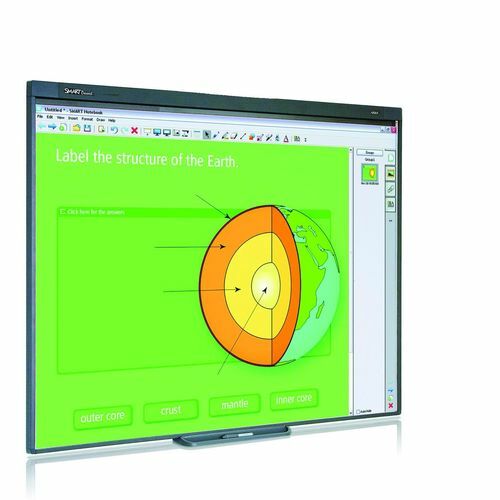 The 480 also comes with SMART Notebook collaborative learning software, which helps teachers create, deliver and manage high-impact interactive lesson activities.